Have you ever wanted to make real cheese at home, but didn't know where or how to start? Well look no further, as this book makes it easy for the beginner to jump right in and make cheese. 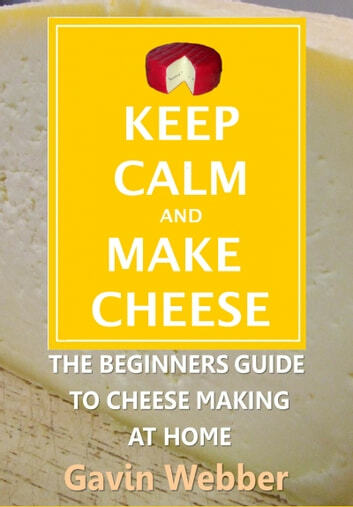 Keep Calm, and Make Cheese steps you through the process of home cheese making with 27 tried and tested recipes for the budding home cheese maker to follow and create. With over 60 pictures, and links to 16 of the author's simple to follow cheese making video tutorials, the whole process becomes much easier to achieve success than you would by reading a normal cheese making book. After reading this book you too will be able to "Keep Calm and Make Cheese", in your very own home.